Autumn in the Sonoran Desert is beautiful. Windy sometimes, though beautiful even in the cool breezes. Winter? G O R G E O U S. Seriously. If you are planning an elopement and coming from colder climes where the gray skies, bone chilling winds and short daylight hours all add up to less than welcoming outdoor fun, consider eloping in Tucson. 1. Our natural landcapes and vistas are stellar. 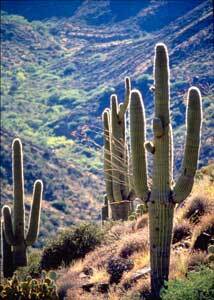 The open desert surrounding Tucson calls to birders, hikers, bikers and lazy picnickers alike. From the trails on Mt. Lemmon to the canyons in the Santa Rita Mountains, there are countless places for enjoyment and simple outdoor ceremonies. 2. The historic architecture is inviting and colorful. If your more of an urban couple and like historic areas for exploration, go no further than downtown Tucson with the Museum of Art and places like Old Artisans. Photo opportunities and quiet nooks for ceremonies are around nearly every corner. 3. Much of the local food is unique in the world and the margaritas make you want more. Who wants to travel without interesting, provocative and delicious food and drinks right? You’ll find it here. From places like Proper or Cafe Poca Cosa in downtown to Mi Nidito’s on south Fourth Avenue, you’ll be savoring mouth watering morsels. 4. The live music alternatives are endless. Nearly every night of the week, you can find live music to sit back and enjoy or shake your booty to . . . all up to you. Places like Monterey Court Cafe and Galleries have nightly bills. And if you want ceremony musicians to make your elopement extra special, local talent like husband and wife combo Duo Vibrato plays unforgettable tunes. 5. Our warm and comfortable places to stay are beyond memorable. The list of unique places to stay or to have a simple ceremony on the grounds is literally too long for me to get into here. 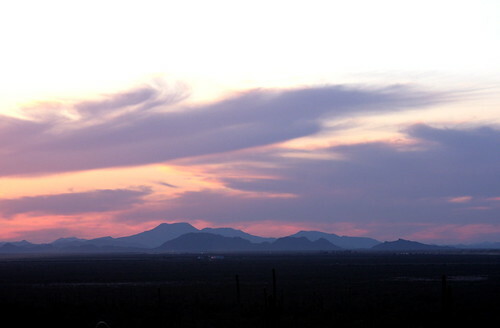 We have beautiful accommodations throughout Southern Arizona. From Hacienda del Sol to Ritz-Carlton Dove Mountain or cozy bed and breakfasts tucked into historic neighborhoods or mountain towns alike, there is a warm inviting place with a fireplace and good views just waiting for you. 6. Your opportunity for co-creating a fun and meaningful custom ceremony awaits. I couldn’t skip myself at Sweetgrass Ceremonies, could I? I love working with mindful couples to co-create custom experiences for their desert elopement ceremony, not just the courthouse steps express. 7. Our desert skies and sunsets are often magical. This photo conveys more than I am able. 8. The people welcome you with friendliness and open arms. You’ll find folks here truly welcome visitors with a graciousness that might surprise you. Our summers are so hot and desolate, the buzz around town in winter is a welcome change of pace! 9. Myriad recreational activities can make you dizzy. No joke. This reason could comprise a whole blog post in of itself. From rock climbing to horseback riding, tennis to day hikes, migratory birding to mountain biking, pool lounging to day hiking . . . making a choice from all of the possibilities might make you tired. 10. Your bank account will still be happy after all is said and done. Tucson and other interesting towns in Southern Arizona like Tubac are affordable getaways. You can really step out for an elopement vacation you always remember and not break the bank. That’s worth noting. Phew. That is a good long list, right? If this has you intrigued, give me a call. Let’s explore what is possible for your winter elopement in Tucson! Be sure to have a professional photographer there to capture those moments. Right, Ted! And you have the perfect casual and unobtrusive style for an elopement, too.